A complete outfit for casting & coloring characters of 2500 A.D.
Get this great outfit! Make toy castings of Buck with his marvelous Disintegrator Pistol . . . Wilma Deering, his faithful Lieutenant . . . and Killer Kane, the arch-criminal of the 25th Century. Paint your castings in bright, lifelike colors. Make all the toys you want. Sell them at a big profit! Millions of people are interested in Buck’s adventures . . . and follow them daily in newspapers and radio. Start your own toy business with this complete outfit. Make real money. Each Buck Rogers Caster comes in large attractive box with full color cover showing Buck’s adventures. Includes complete set of moulds for making 3 big figures: The Weird Depth Man, Buck Rogers himself, and Dr. Huer, the inventor. Set also includes mould handles, clamps, a large supply of lead, ladle, 4 cans of paint and 2 brushes. Strange 25th Century creatures . . . speedy Interplanetary Rocket Ships . . . and friends and enemies of Buck and Wilma. You can make them all with Extra Moulds at $1.00. Three large figures in each mould except the big Buck Rogers Flagship. Complete list in coupon. It doesn’t take long to make enough toys to pay for your Buck Rogers Caster and start saving money. Get a Buck Rogers Caster for Christmas! Or if you get it early make toys for Christmas gifts. 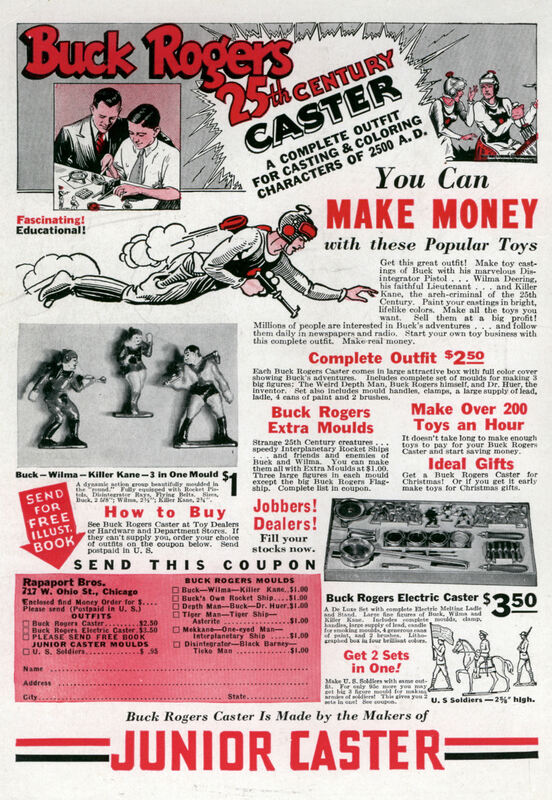 See Buck Rogers Caster at Toy Dealers or Hardware and Department Stores. If they can’t supply you, order your choice of outfits on the coupon below. 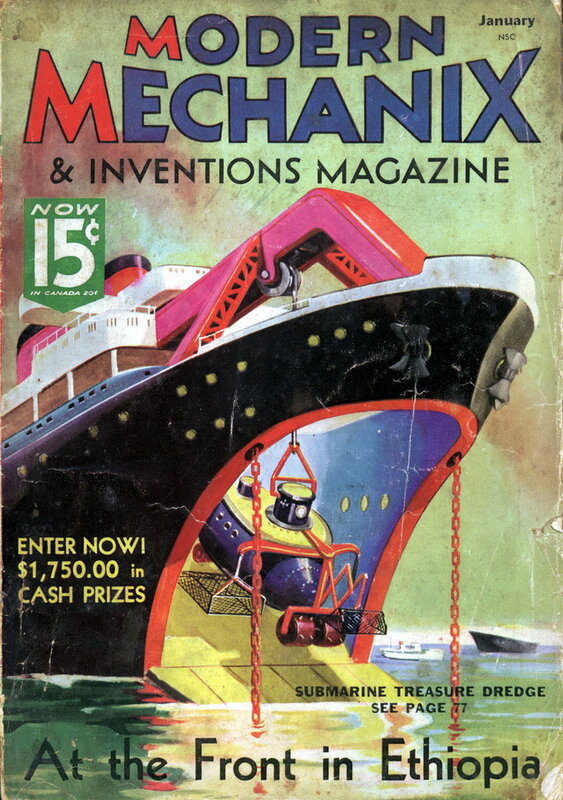 Send postpaid in U. S.
Modern Mechanix has posted a scan of a great full-page ad from 1936 where you can make your own toy castings and then turn around and sell them. “You can MAKE MONEY with these popular toys,” the ad promises.